During the hustle and bustle of the holidays, it can be difficult to find time to visit with the season’s most popular character — Santa Claus. 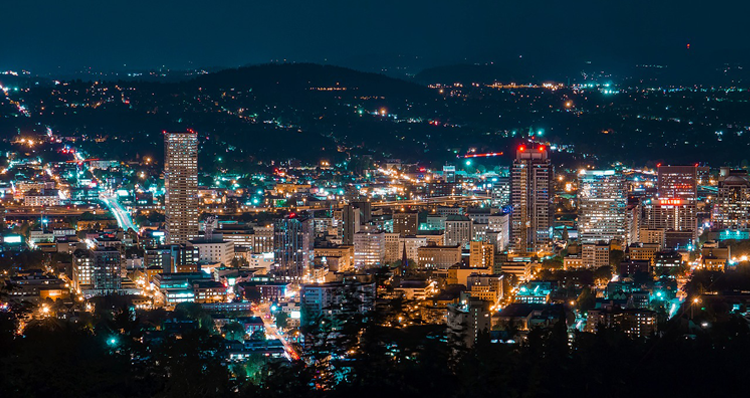 Thankfully, Santa has several temporary home bases in the Portland area throughout the season, where he takes time to build his wish list before he embarks on his annual worldwide tour on Christmas Eve. 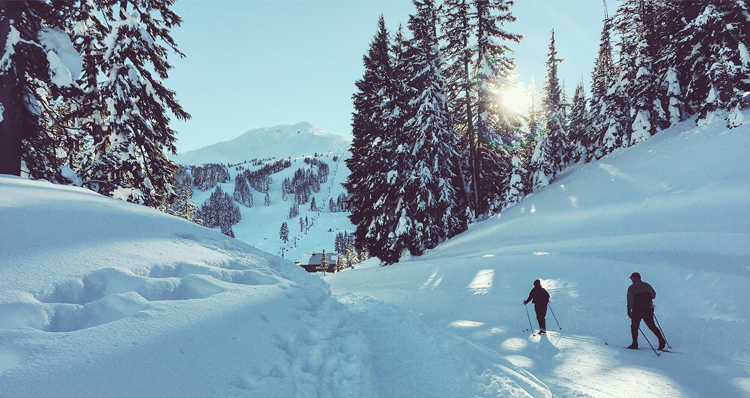 Make plans to visit with Santa in the Portland area at one of these community events, photo opportunities, train rides, and other Santa sightings. In the meantime, make sure you remain on his “nice” list! Santa will be camped out at his headquarters at Summit Court in Washington Square through Christmas Eve! 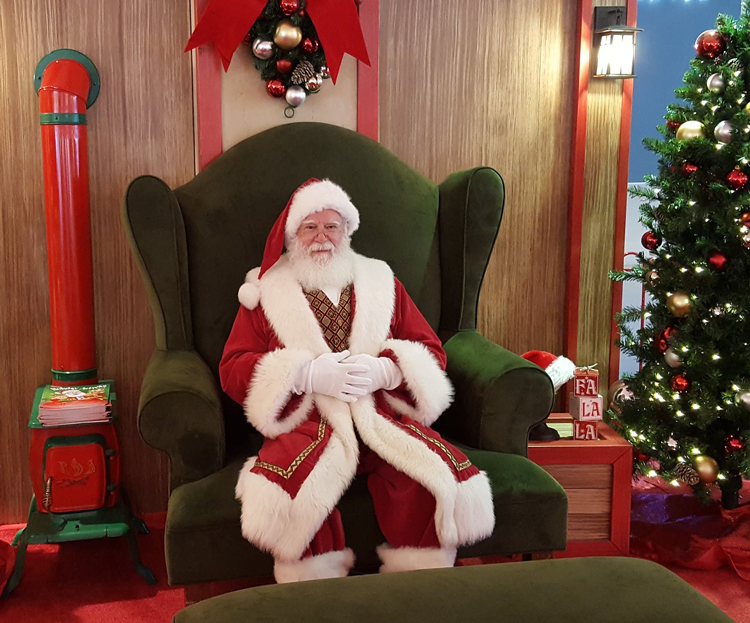 Santa HQ, presented by HGTV, offers an immersive and unforgettable holiday experience, including a visit with Santa, high-quality photos, and a free gift. This year, Santa HQ has a brand new Elf Academy, which invites guests to stand in front of the Magic Mirror to be transformed into Santa’s Elf (with a little help from augmented reality!). Plus, you can create your own customized Elf ID card, try out Elf-Ray Vision, and use the Naughty or Nice Meter. Reservations for your visit to Santa HQ are available but not required. Hours vary throughout the holiday season and there are a number of special events on the calendar you won’t want to miss! Be an elf for the afternoon with a visit to Santa’s Toy Factory at Clackamas Town Center, where you can test out new toys and digitally design your own! Pose for a photo with Santa just outside of Macy’s from November 11 through Christmas Eve. 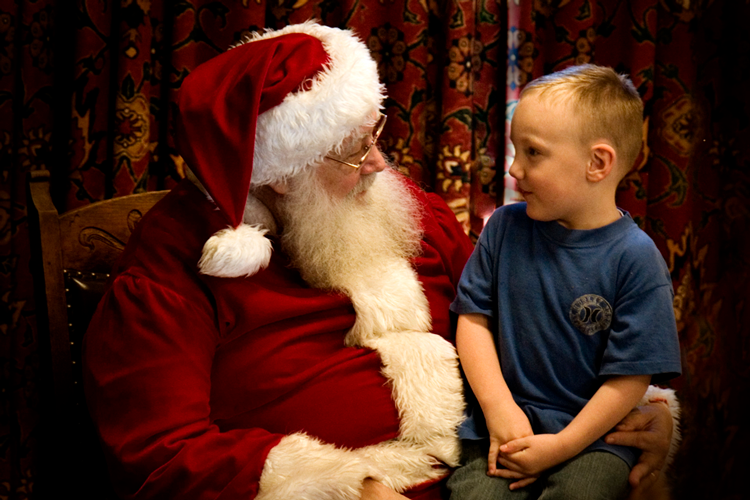 Make your reservation for this exciting and interactive visit with Santa! Keep your eye on the many special events happening at Santa’s Toy Factory throughout the season, including Pet Night, Ugly Sweater Day, Holiday PJ Day, and more. Santa Claus is available for visits and photos just outside of H&M at Pioneer Place through Christmas Eve! You can even bring your four-legged family members along for a photo with Santa on November 19, December 3, 10 and 17. Make your reservation in advance to skip the stress of a big line. Return to Pioneer Place every Thursday through December 20 to visit with Hipster Santa®, providing a quintessential “Portland” experience. In past years, Hipster Santa® has sported a man bun, vintage sweater, tattoos, earrings, plaid flannel, skinny jeans, and black converse. Plus, he rests atop a chair made with fabric resembling the iconic PDX airport carpet. Visit with Hipster Santa® each Thursday through the 20th! 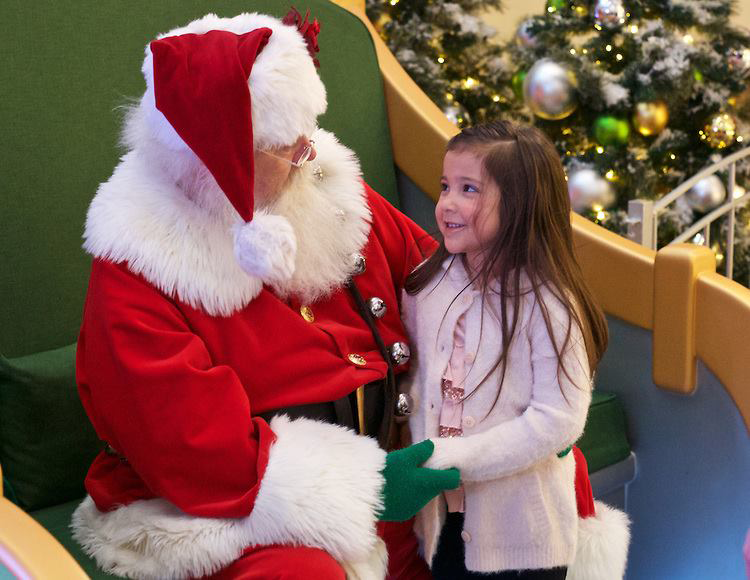 Pose for a photo with Santa by the Nordstrom at Lloyd Center through Christmas Eve! The Lloyd Center offers a variety of photo packages, whether you prefer a digital or printed version — or both. Check the event page for hours to ensure Santa isn’t taking a much-needed cookie break when you visit! Head to Beaverton for a special visit with Santa at Cedar Hills Crossing, the expansive shopping complex formerly called Beaverton Mall. Santa will be on site and ready for photos through Christmas Eve. 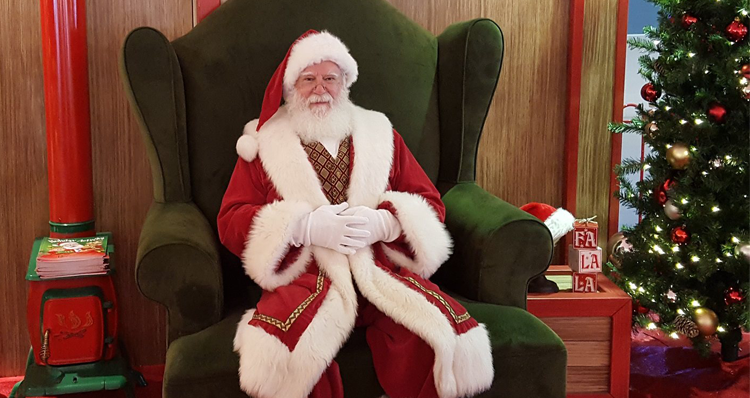 Visits with Santa at Cedar Hills Crossing are always free, but photo packages are available for purchase if you choose. Ride in vintage rail cars behind Portland’s historic steam locomotives and get the opportunity to visit with Santa Claus on board the Holiday Express Train. This festive train ride is one of the city’s most beloved traditions. Proceeds benefit the Oregon Heritage Foundation whose mission is to provide for the preservation, operation, and public enjoyment of Portland’s historic locomotives, railroad equipment, artifacts and to educate the public about Oregon’s rich and diverse railroad history. Take a look at the train’s availability and book your tickets to embark on this magical journey with Santa! McMenamins is hosting an intimate breakfast with Santa at several of their locations in the Portland area each weekend through Sunday, December 16. You’ll have the opportunity to relax at a table with your family, enjoy a hot buffet breakfast and coffee, and sit and chat with Santa when it’s your turn. There will be no photographer on site, so you are expected to capture the moment with your own camera. The buffet menu appeals to both children and adults, with favorites such as sausage, bacon, French toast sticks, fruit salad, scrambled eggs, and various sides. 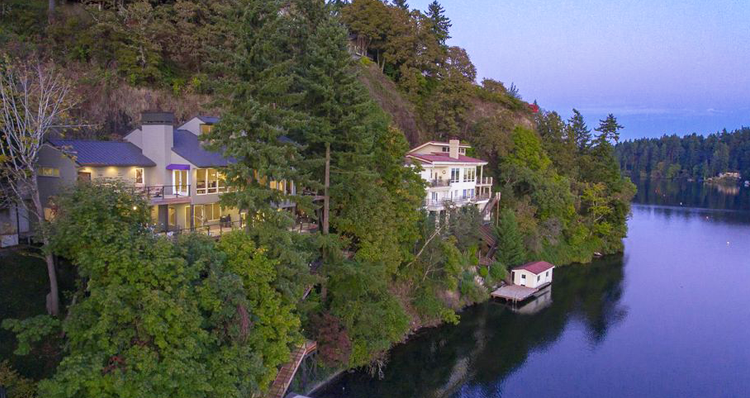 Take a look at McMenamins’ event calendar, using the filter for “Holidays” to see the many Breakfast With Santa events at the location nearest you. On the weekends leading up to Christmas, the western frontier replica town of Dairyville transforms into a winter wonderland. Animals are on display on nostalgic Storybook Lane, where you will discover vintage storefronts, local choirs singing, holiday movies in the opera house, and of course, a visit from Santa. This year, Alpenrose Dairy is partnering with the East Portland Rotary Club for their annual Toy Drive benefitting local foster kids. Pick up a tag to help make Christmas wishes come true this holiday season! Check Dairyville’s event calendar before your visit as hours vary throughout the season. Where does your family usually see Santa during the holidays? Let us know in the comments below!